Acting on behalf of Scarborough Group International and Legal and General, The Harris Partnership has lodged a reserved matters application for the retail and leisure phase of the £400m Thorpe Park development in Leeds. 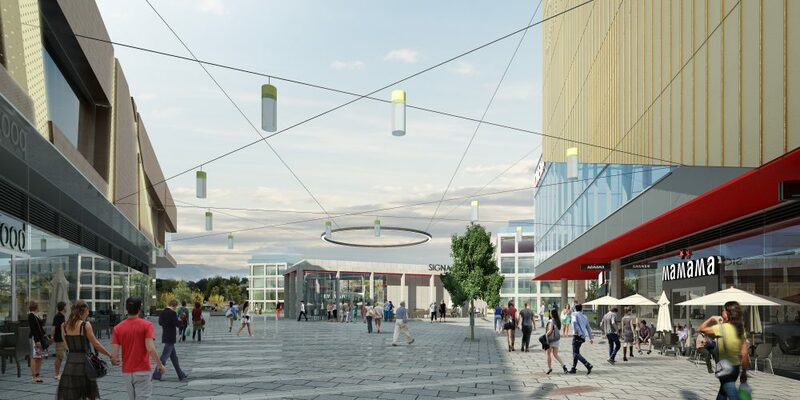 The plans detail 299,602 sq ft of retail and leisure floorspace including 11 restaurants, gym and 60,000 sq ft cinema with up to 25 shops of which Next has agreed to occupy an 18,000 sq ft anchor store. The leisure focused heart of the scheme will be linked to a retail terrace by a 16-metre wide central plaza running east to west through the development.